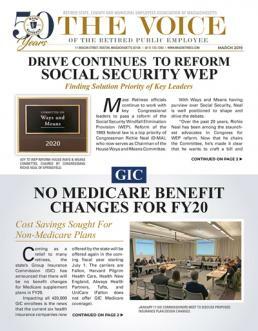 Articles about Legislation that may be useful to Massachusetts retirees. JANUARY 16, 2015: The Association has completed the filing process for its 2015-16 Legislative package. Under joint House-Senate rules, the deadline was Friday, January 16, 2015 at 5:00 pm. All told, fourteen separate bills make up the Association’s proposal for the new session that began on January 7th and lasts through the first Tuesday in January 2017. Bills will shortly be assigned numbers and be assigned to various committees for review. JANUARY 8, 2015: Moments before taking his “lone walk” down to the front steps of the State House on his final evening as Governor of Massachusetts, Deval Patrick signed into law our Association’s bill adjusting the outside earnings limits of accidental disability retirees – now Chapter 492, Acts of 2014. August 1, 2014: An Association proposal that would increase the allowable earnings limit of all disability retirees cleared the Massachusetts Senate yesterday, on the final day of formal legislative action for the 2013-2014 session. MAY 2014 VOICE: For the past three years, retired teachers and municipal workers have been protected from unfair increases in health insurance premium contribution percentages. Alarmingly, the legal protection expires on July 1, 2014! Association officials are calling on the legislature to extend the retiree protection for two-years, through July 1, 2016. MAY 2014 Voice: Information recently obtained from the both the National and State Associations of Funeral Directors has brought renewed focus on our Association’s proposal to increase basic life insurance for state retirees and employees to $10,000.